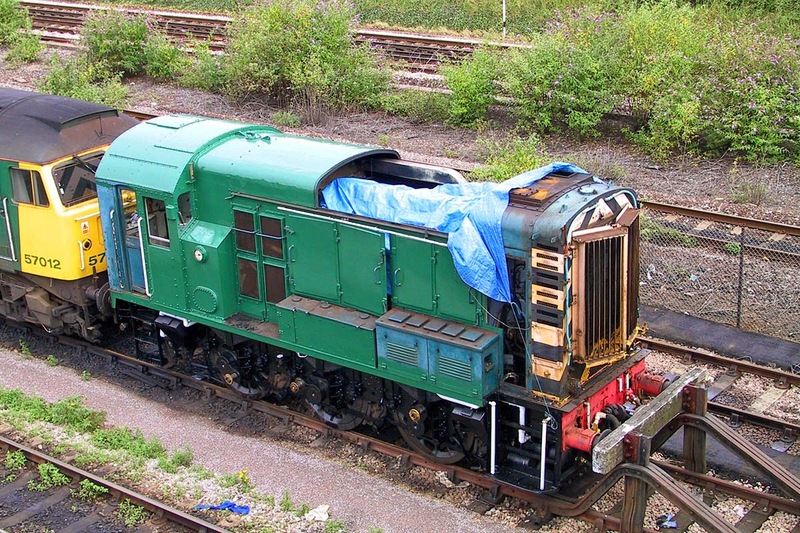 08575 was removed from Southampton Maritime on 17th May, to LH Group at Barton under Needwood, as was 08785. 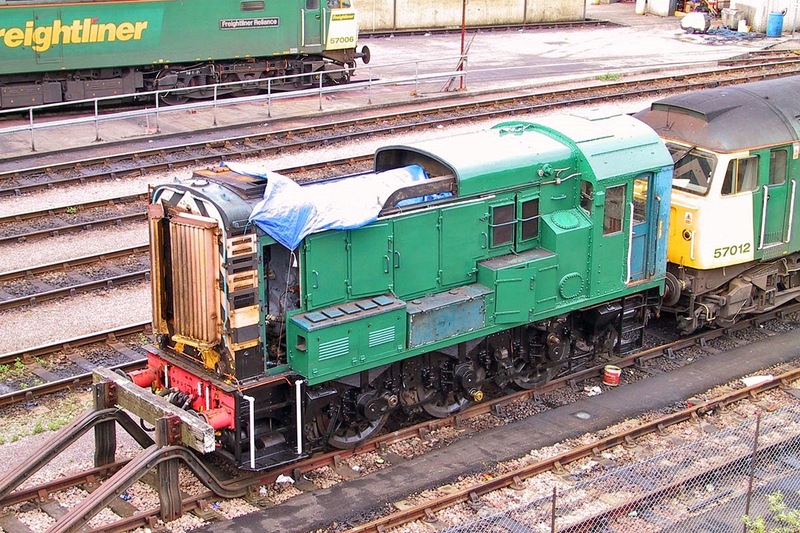 While the latter is expected to return to usage in due course, it is expected that 08575 has been sent there for dismantling. 08575 was new from Crewe as D3742 in June 1959, to 64C Dalry Road in Edinburgh and worked from three Edinburgh sheds over the years, at 64A St Margaret's from later in 1959, back to Dalry Road in 1963 and eventually 64B Haymarket in 1965. Renumbered to 08575 in September 1974. I first saw it in September 1977. In recent years it was owned by Porterbrook and leased to Freightliner. It had not worked at Maritime since the 2008 collision incident, which also affected 08077. I did cover its history while it was stored, in an update from 2010. 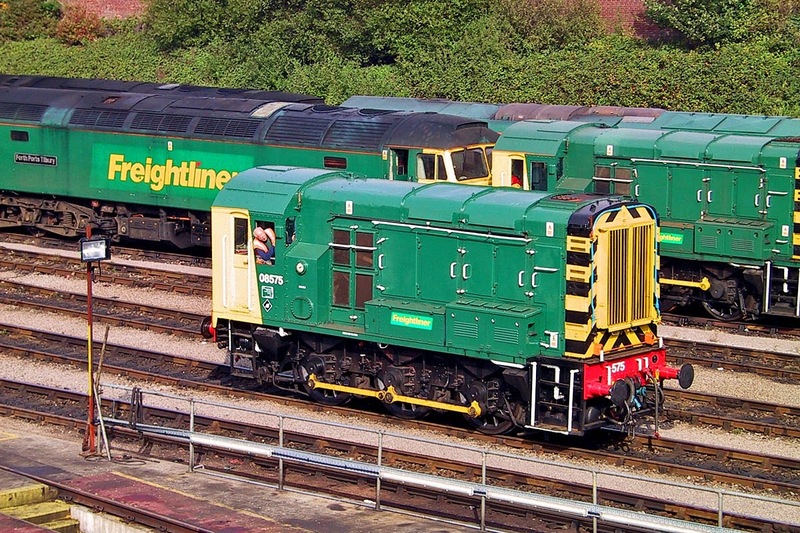 There was a period when Freightliner carried out some overhauls of Class 08 locomotives in the open air at Maritime. 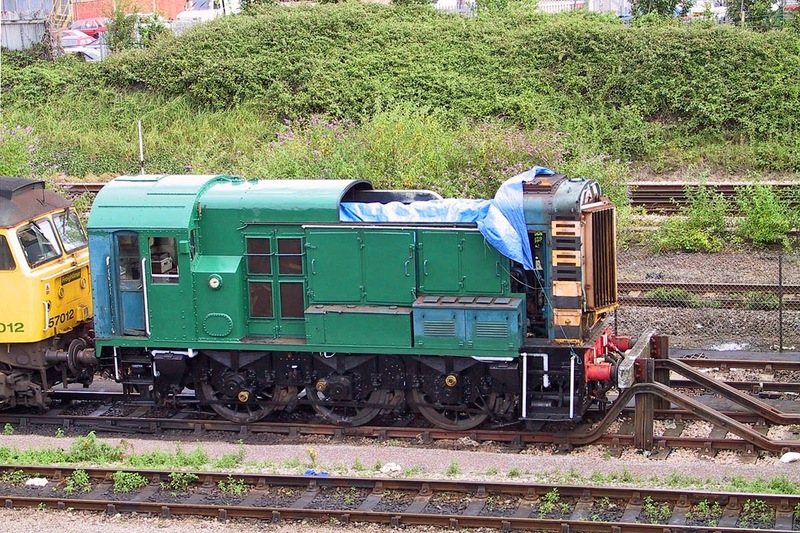 By the time of these pictures, on 21st July 2001, 08585 was already sporting a coat of Freightliner green, 08530 and 08077 were to be handled later. 08575 is seen in transition from BR blue to Freightliner green, this was very soon after I acquired a digital camera, and these images have been stored on CD-R, Today's editing capabilities are rather better than they were then, so they have polished up quite well. Looking carefully it's possible to see that the power unit is very clean, and may have been changed. The pristine finished article seen on 13th October 2001. The green 08 in the background is 08585. The 47 is 47258 Forth Ports Tilbury, which ran until only December 2001, despite the updated colours, and was disposed of at Booth, Rotherham in February 2005.